In this comprehensive guide, I'll give you a few pointers on how you can publish any book very quick and easy with no hassle! I usually have a hard time trying to explain all this to my fellow writers. They can't wrap their heads around how easily you can turn your books into paperbacks nowadays. Most people are simply not aware of the low barrier to entry. But trust me, it is real. My journey as an aspiring writer so far has yielded a ton of hard-earned lessons. But I think the big takeaway is to never stop writing and always (no matter what) dare to chase your dream relentlessly. Because golden opportunities do pop up when you least expect it. It took me some time to fully grasp this whole self-publishing, do-it-yourself concept. Like many other writers out there I hoped to be discovered by a publishing agent. But things don´t work like that anymore. I finally took the plunge and put my book on Amazon. All I wanted was to get my book to readers and be fairly compensated for my work. And self-publishing on Amazon is a very effective way to achieve exactly that. 1. You instantly get your book to readers (heaps of them, actually) that would otherwise never find you on their own. 3. Of course, you make money by selling your books (up to 40% of the list price, actually). If you commit to it, you can make a living writing books in your pajamas for the rest of your life. How cool is that! In addition, traditional publishers are currently on the prowl for new self-published authors. Often snatching them up straight from the sales charts and offering them six-figure contracts for their books. So if your book do well, it´s very possible to end up bagging a traditional publishing deal. Of course, self-publishing means you don't get the marketing resources that come with a traditional publishing deal. But in our world of social media, that can be easily fixed. Facebook, Pinterest, Twitter and Goodreads are your friends here. If you go indie (independent) you need to learn at least the basics of social media book promotion. When it comes to my professional career, I'd rather take my fate in my own hands. So I´m cool with that. Your mileage may vary but if being an author is your dream, it's worth to try it at least once. Let´s see how you can get your book into your readers (and future fans!) hands. So how does this self-publishing thingy works? The first thing you have to do is sign up to the self-publishing service Amazon makes available for you. It´s called CreateSpace and at the moment of writing this article creating your account costs $0. (Yes, you read that right, zero, zip, zilch, nada). This is quite simple. Just fill in your name, email, a password for your new account, your country and type of media you want to publish (you can publish songs and films too). IMPORTANT: You will receive an initial message to verify your email address. Just click on the link "Click here to get started" and that's it. Immediately after that, you will receive a welcome email with the instructions to access your Member Dashboard. Okay, now we are ready to go! 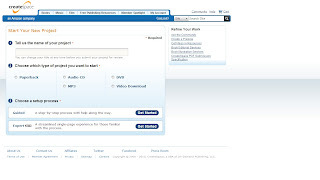 Once you log into your account you will see a blue button that says: "Add a new title". In Step 3 ("Choose a setup process") click on the "Guided" setup. This will make it a breeze to create your book. Don't panic if you hit the wrong button because changes are made effective only once you´ve hit the "accept change" prompt. Plus, you can always hit the cancel button. In the left menu you can see a green check mark as each step is completed. The setup process is quick and intuitive. 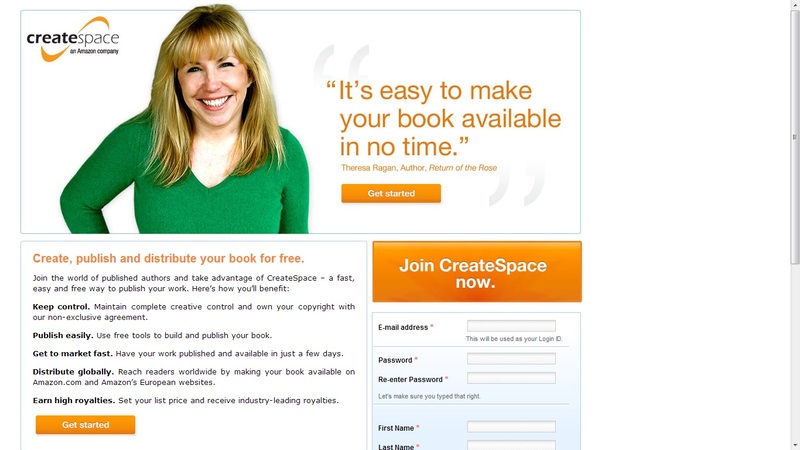 You can always shoot an email to CreateSpace help desk if you hit any roadblocks. They are really fast to respond to suppport tickets. Finally, here are several questions I received from readers. Hope they help! How does print-on-demand work? The books are printed on demand, this means the book is manufactured only when a reader places an order. 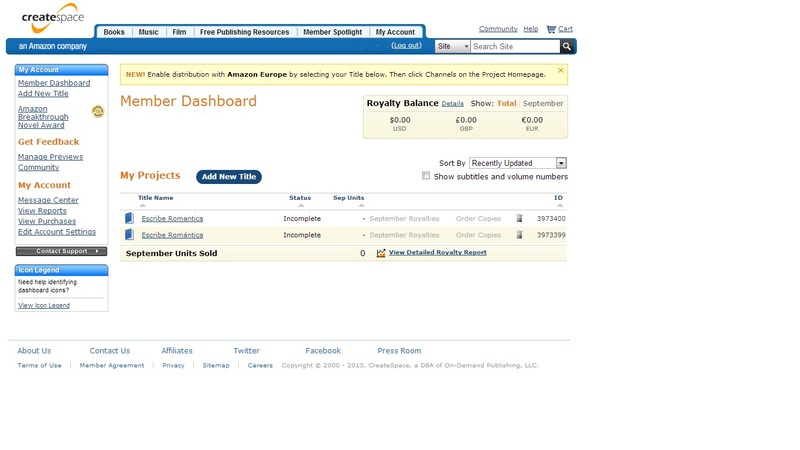 Is publishing a book on Amazon really free? Are there any hidden charges? Nope, no hidden charges. Everything is free. Amazon only makes money when you make money. Only when your book sells, they get their cut. That´s all. What formats and sizes are available? What format did you personally choose, and why? 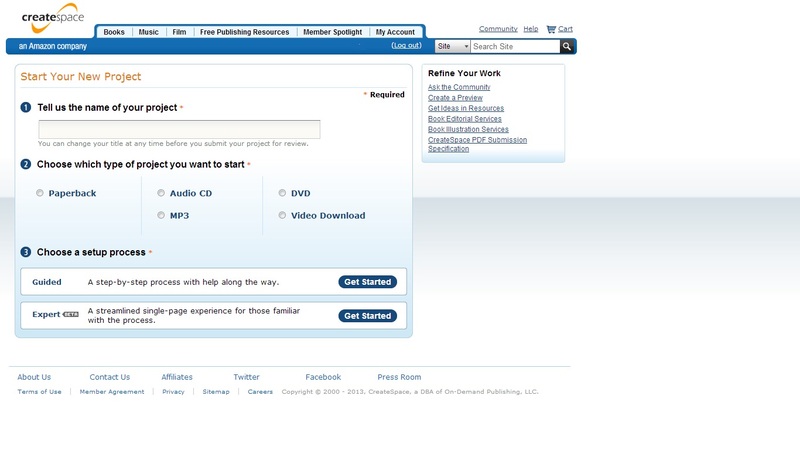 Amazon offers a variety of formats and you can choose the one that suits you. I chose the 6"x9", just because I did a quick check on my library and discovered that most Romance books were in that format. But you can choose the one you want from the options they offer. How do you design the pages of your book? Does CreateSpace give you templates? Yes, you can download the template for your chosen format. All you have to do is copy the book from your text document and paste it in the template. How do you handle the graphic design of the book cover? Do they give you any tools or templates? Are they easy to use? Yes, it´s all in your dashboard. You have multiple design options to choose from. All very basic to tell you the truth, but you can tweak them and easily adapt them for your book cover. You can also (and this is what I personally did) upload an image from your computer. Is there a review process? How do you know if you are satisfied with the result? CreateSpace does not edit the text (unless you pay a copy editing fee for the privilege). So if you have spelling or syntax errors CreateSpace won´t fix them. But you can preview and go through every page of your book to check that everything is right. You can revise to your heart´s content. 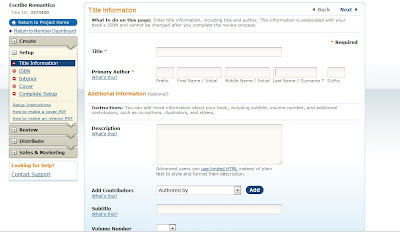 Do you get a free ISBN number when you publish through CreateSpace? Yes, Amazon provides your book with the ISBN for free. And they place it for you automatically, so you don´t need to do any extra work. How long does it take for your book to appear on the Amazon.com store? Is the book available to all countries? Once you hit publish, the book takes about 48 hours to appear on CreateSpace and about 4-5 days to appear on Amazon. The book is available in all countries. Recently local distribution included all of Europe, so you will not have any trouble getting your book to international readers. How do you calculate the selling price? 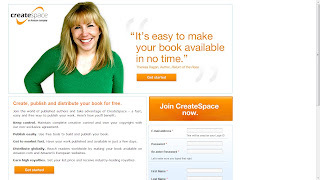 CreateSpace will calculate the minimum price you´re allowed to sell your book so they can cover their production costs. Then you can adjust the price to make your profit. The final sale price is always up to you. What is the royalty system? What is the commission that CreateSpace takes? CreateSpace takes a 60% cut. 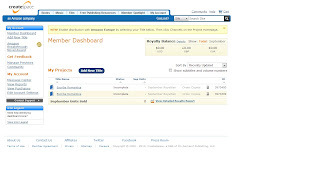 This accounts for the cost of printing,setup and hosting of the sales page for your book. Do I retain my full copyright? Yep, you do keep all rights to your book. Amazon only takes care of the distribution. You are not bound to any commitment or exclusivity contract. And you can withdraw your book from the online store whenever you want. Is it possible to publish all kinds of books? You can publish anything you can imagine. From short stories and novels to recipe books. From poetry and memoirs to children books. All genres are fine. Am I allowed to use a pseudonym or should I use only my own name? Yes, you are allowed to publish your book under a pseudonym. But remember, when signing up for CreateSpace you have to give your own name so they can send your royalty cheques (a.k.a. Your book sales earnings). I hope this tutorial will inspire you to start your writing career with a bang! Below you can see the paperback copy of my book (great quality, btw). A minha pergunta é ao abrir a conta eu tenho que mandar o meu livro para o sistema da amazon faço por email mas posso abrir a conta e não mandar ainda ou mal abra tenho logo que mandar o meu livro é que ainda não terminei de escrever mas já queria abrir a conta mais uma coisa a língua a amzon consegue traduzir o meu livro para português ou só para inglês ou vai traduzi-lo para várias línguas mais uma coisa não sou muito bom na pontuação a amazon faz isso ou não quanto au custo á algum custo associado preciso de ter a certeza anda por ai muitos enganos e vigarice agradecia que mês respondessem a estas perguntas por favor.